Saturday afternoon's dreary and dismal weather was a stark contrast to Monday's sunny, blue skies. I went to the Click Ponds, located adjacent to the wetlands, on both of these days. 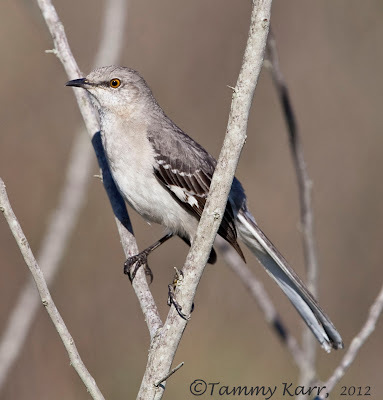 I didn't see anything out of the ordinary on Saturday, but I did enjoy the variety of birds I was able to see. I spotted two Common-ground Doves in a tree near the entrance. These doves are a bit more interesting than their Mourning counterparts; they have bright chestnut primaries that are visible when in flight. They are also the smallest of the dove family. The trees and bushes to the right of the ponds were loads with birds. There were large numbers of Palm and Yellow-rumped Warblers and probably quite a few others that I missed. Boat-tailed Grackles and Robins were also abundant throughout the area. 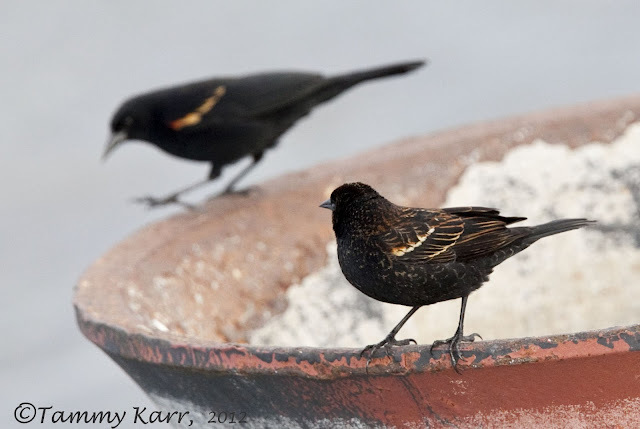 I also saw two juvenile Red-winged Blackbirds who appeared to be under the guidance of an adult RWBB. The visiting Robins were on mission to consume every berry in the area and a Green Heron was fishing from some old pipes. While I was sitting in my parked car observing some Hooded Mergansers, a Wilson's Snipe flew right in front of my car. 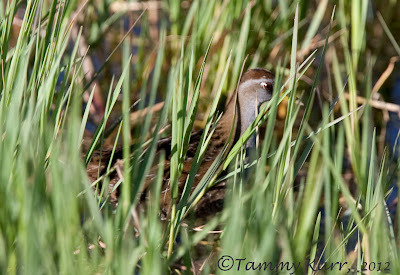 It then proceed to loop around me again, land in the reeds right in front of me, and, strangest of all, just stare at me. This is the second one I've seen in the past week. Monday I spotted this American Bittern who was relatively out in the open, for a Bittern anyway. As I was watching some Boat-tailed Grackles dance around I noticed a small Sora hiding in the reeds. This is the first time I have seen one here. I wasn't able to get a decent photo as the Sora was doing its best to stay concealed. 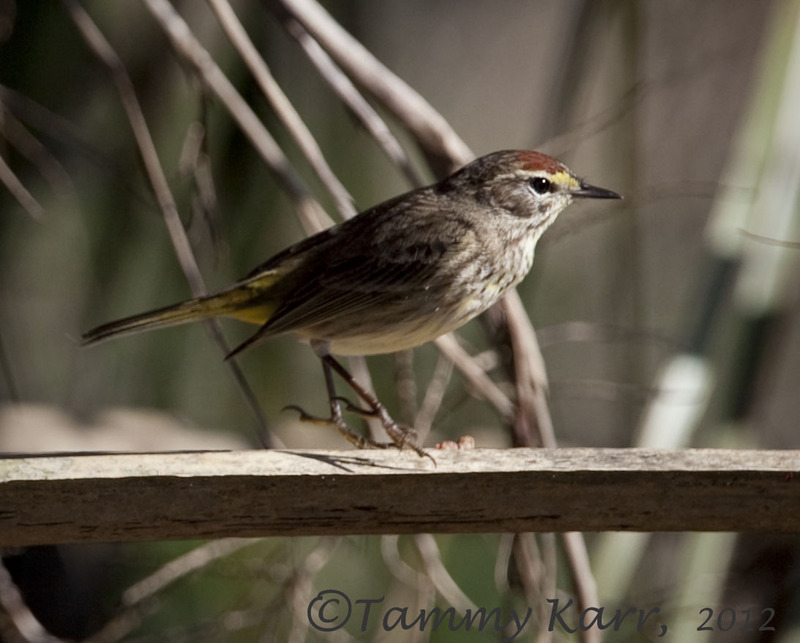 This Palm Warbler appears to be developing its breeding plumage noted by the rufous cap that is developing. This young Mockingbird was waiting at the exit to wish us farewell. 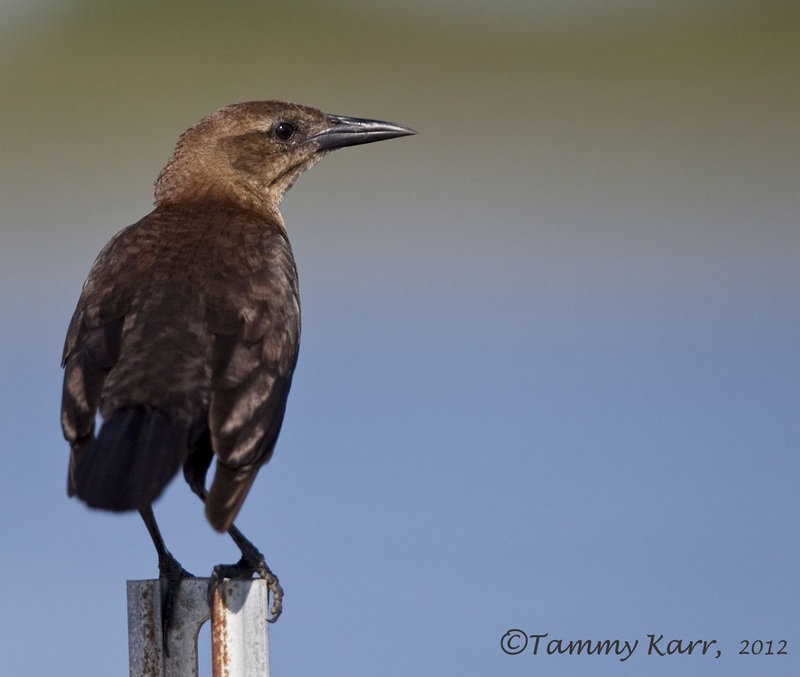 Wonderful bird pictures.....i like your work very much tammy. Oh what a pretty birds to see, nearly all of them are new to me. Fantastic photography. WOW!! me gustan las fotos y las especies de aves que nos muestras. Found your blog today Tammy; amazing photo's! Charming photos and narration. That Robin made for a pretty nice photographic setting, as did the Bittern, but I think my favorite today is the spacey snipe. fabulous shots! whether it is the 'common' robin or the elusive bittern, you present such great images! Great shots this Tammy, I spec like number two in your collection. 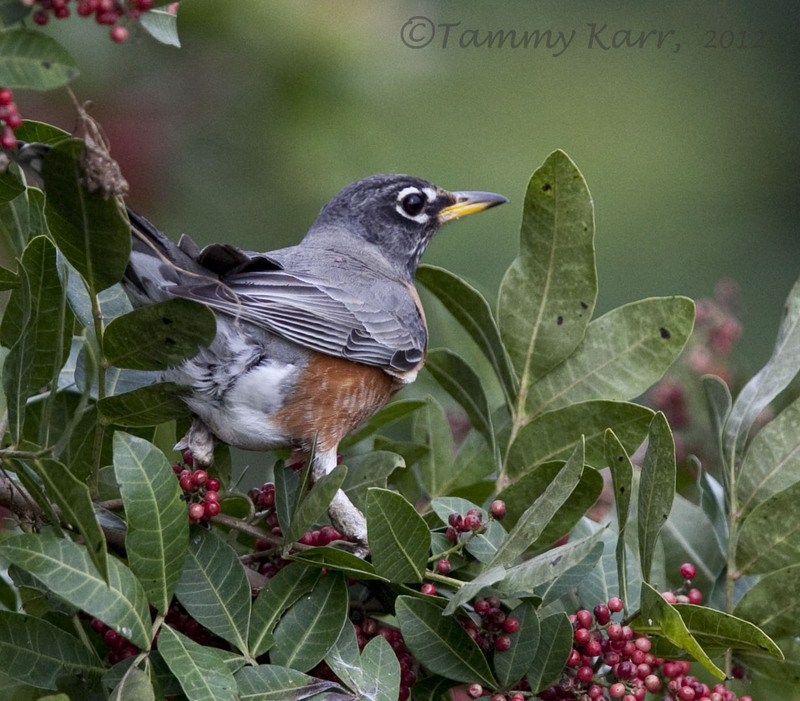 Beautiful images Tammy, I feel like I am revisiting Florida through your lens. Beautiful shots of all those great birds! 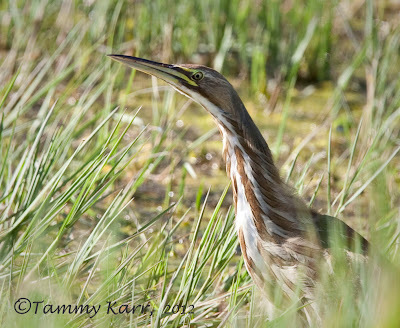 The bittern is a special site to see. I love the green heron. 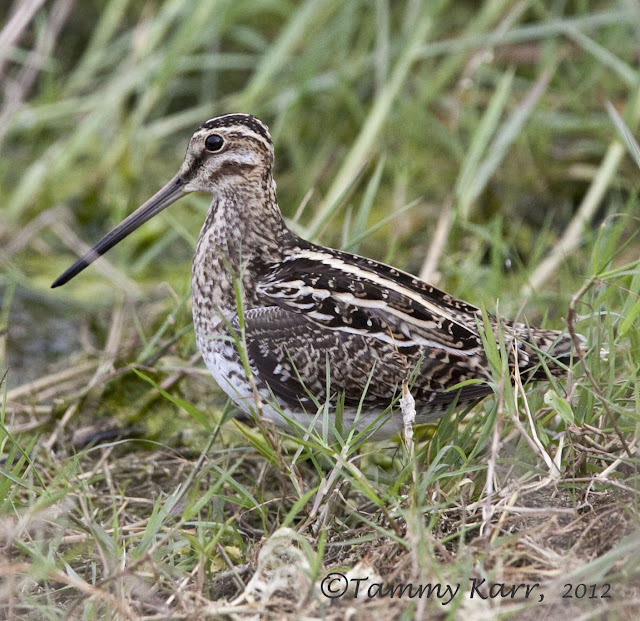 I love the snipe photo, but the heron is fantastic, too! They're all great shots, Tammy! Absolutely stunning photography Tammy, especially the American Robin, Green Heron, Bittern and the Grackle! Superb. Nice to see all different birds which I have never seen before. Tammy, vives en el paraíso; siempre encuentras algo bello que fotografiar. Hi Tammy, great pictures and interesting Blog.. I love nature.. Saludos españoles..
Bellas aves todas, desde el Mirlo hasta el Ruiseñor. Grandes disparos. Hey, are they named the Click Ponds because you can just stand there and "click" away? Wonderful photos and the lighting is great. 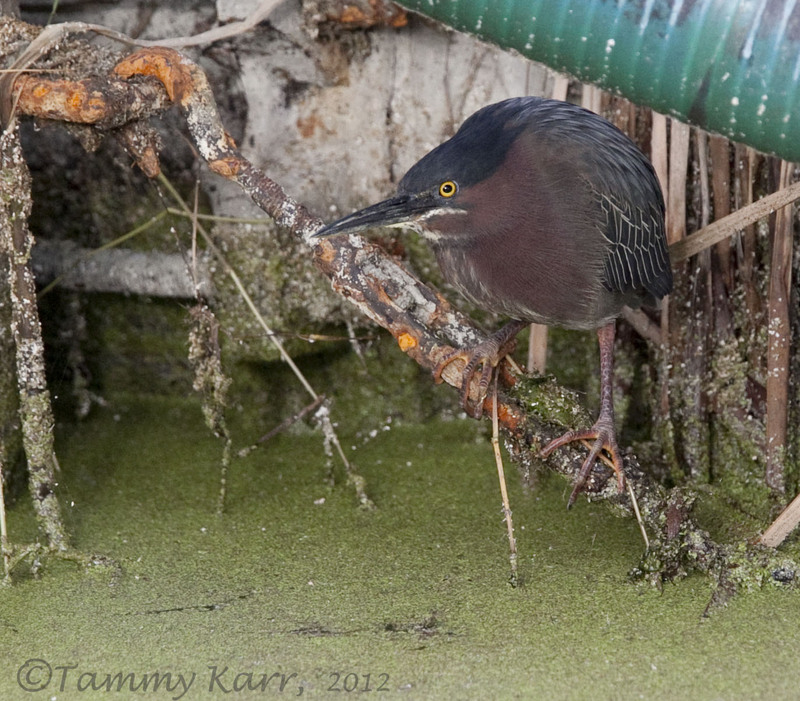 The shot of the green heron is so perfect it looks like a diorama from a museum! Great work! p.S. I also really love the shot of the robin and the snipe!